If you are in any way acquainted with brick repair work you will know that most of it takes the form of chipping away, re-mortaring and solidifying the structure. However, there is another important element to the work that we do. Bricks are beautiful, make no mistake and they make our homes look rustic and stylish as well as securing our buildings with their durability and tried and tested solidity. But, cleaning forms a large part of the maintenance and the repair of homes and structures. Please read on to find out more details. It’s the funny thing with bricks - we all use them but most people see them as a hard, rough service that can’t be cleaned. Here at Fort Worth Brick Repair, we understand that presumption. But we are here to tell you that it is not true. In fact, there are many benefits of brick cleaning which our service can provide. You’d be surprised - and what’s more, we hope that you will be surprised! Please read on to find out more about our brick cleaning service and get in touch if you feel like it is a service that could be of use to you! We would love to hear from new clients and we always will! Well, bricks gather damage from the outside like any other hard surface. Sometimes, this takes the form of natural wear and tear. But, other times, they can become stained by oil, smoke, chemical damage and even, unfortunately graffiti. We live in an urban area here after all in Fort Worth. Also - natural wear and tear doesn’t just mean wind and rain damage. Plants grow on buildings and the bricks aren’t always enough to stop them spreading. However, most people are tempted to tackle this work on their own. They think that it won’t be that hard and that it is the same as cleaning a table or a window. However, we will be able to do a more efficient job because of the tools that we have at our disposal. We are confident that it is worth the money once you see the kinds of results that we can produce. 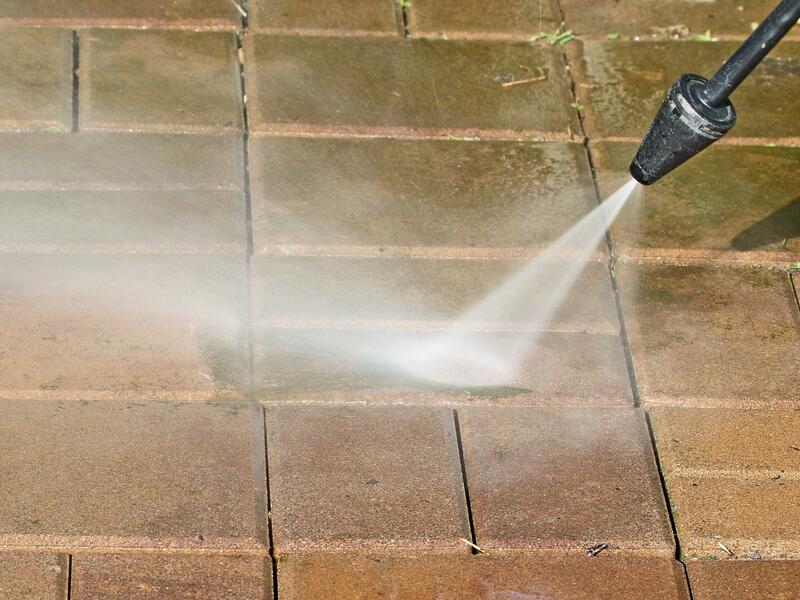 These tools that we speak of are things like pressure washers, jet stream cleaners and other steaming products that will get your brick walls looking spick and span in no time. The process that we operate is pretty consistent for obvious reasons. Brick walls and brick structures are pretty similar no matter where you live or how high the walls are. That being said, the process is technical notwithstanding. Firstly, we perform an inspection. This is where we analyse the grime and the dirt and work out the best cleaning method for you. Then we will produce a plan and once you have agreed, we can get to work. It will always be completed on schedule and if it’s not, trust us there will have to be a very good reason. So, if you are tired of contractors dragging out work in any way, you don’t have to worry about that with us. Give us a call today!